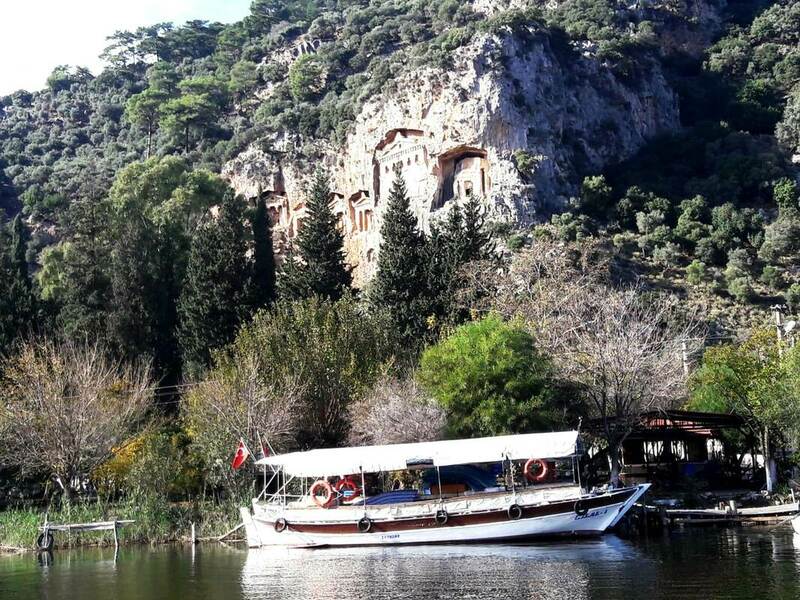 ​Our small boat drifts silently along the Dalyan River delta’s scenic, narrow waterways, enclosed by craggy mountains. Huge, 2,000 year-old Lycian tombs, hewn high into the rock face, stare down at us. Any treasures left inside them are long gone. Our route winds and snakes through bends and turns and we wave to people having lunch at wooden tables set on the reedy, fertile banks as we sail pass tiny clusters of multi-hued houses. It’s a magical journey. This is Turkey’s Turquoise Coast. 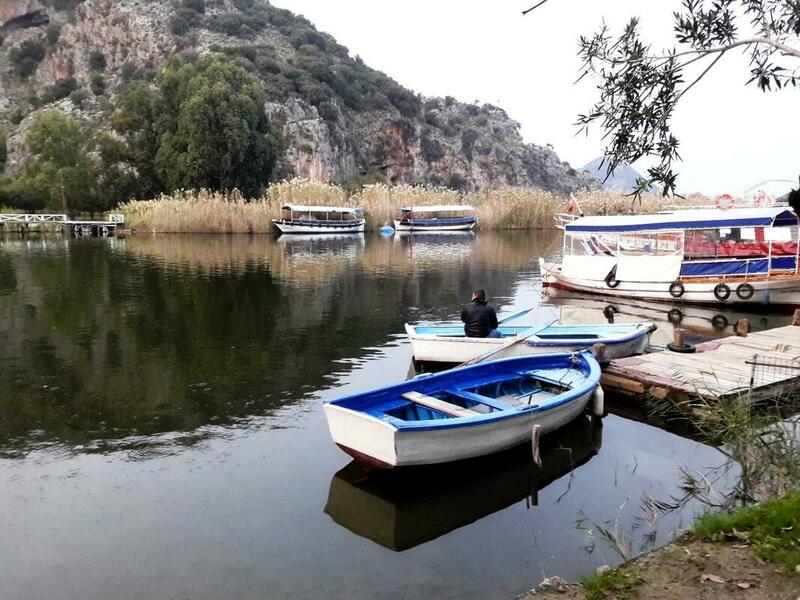 In Dalyan within the Mugla province on the south west coast, where the Mediterranean Sea meets the Aegean, the sun shines all year round and temperatures rarely fall below 18 degrees C, making it ideal for an out of season holiday, at a good price, too. 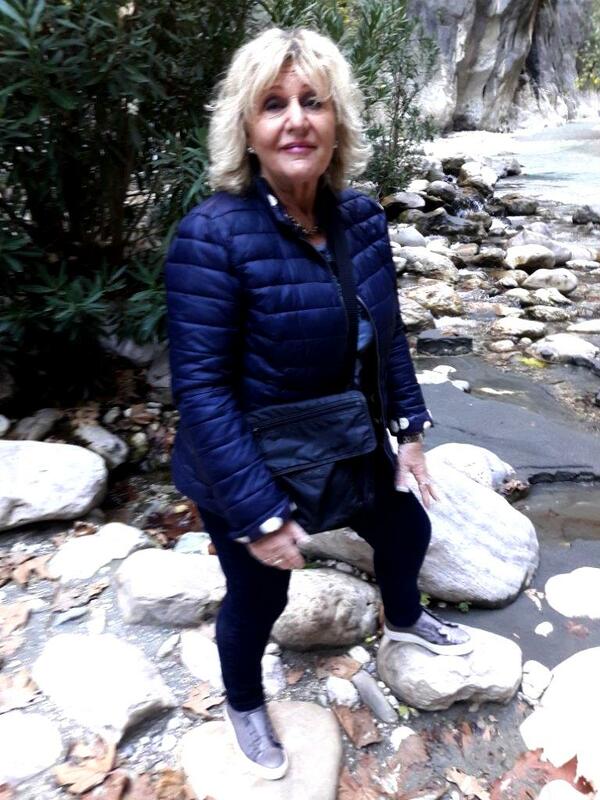 Never did I imagine I’d be bathing in warm thermal waters and taking an al fresco mud bath in Turkey, in winter. 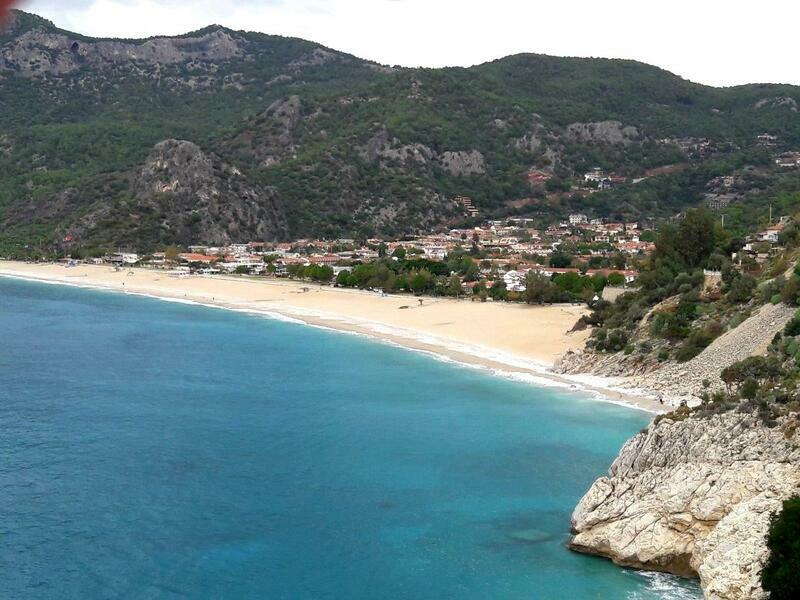 Just an hour’s drive from Dalyan, is the resort of Fethiye, established as a firm favourite with British tourists. Stunning beaches, crystal, azure waters and year round sunshine has tempted around 3,000 British folk to take up permanent residence in this area. Strapped to an instructor, the pluckier members of our party prepare to run off the side of Babadag mountain. 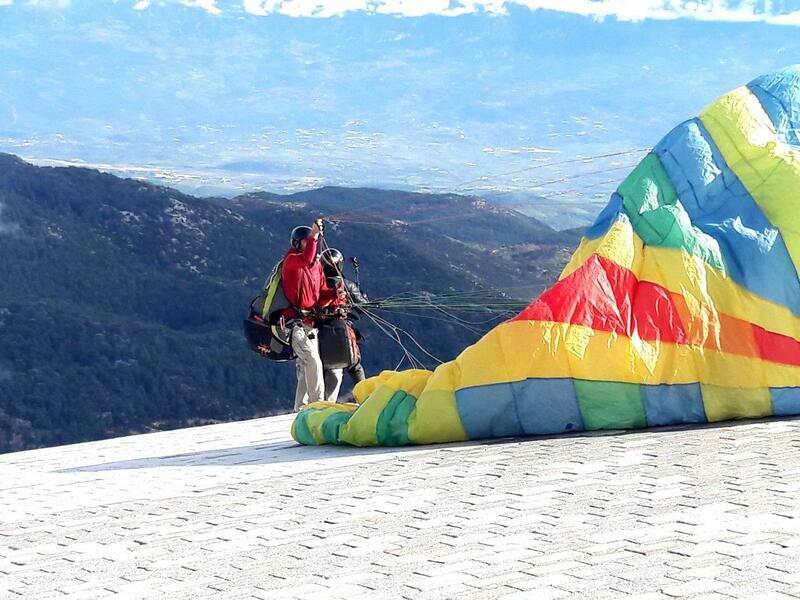 I can hardly look down as they take to the skies and experience the thrill of a half hour paraglide, 1,962 metres down, floating past slopes of fragrant cedar forests, then landing on the white, powdery sand of Olu Deniz beach, alongside the Blue Lagoon. For lunch, we feast on succulent, open oven-roasted lamb and barbecued meats with fresh salad. Our hotel, the chic, boutique Fethiye Yacht Boheme, is adjacent to the old town and merely a stroll to the harbour, where we board a typical wooden boat owned by the Princess Serap boat tours. 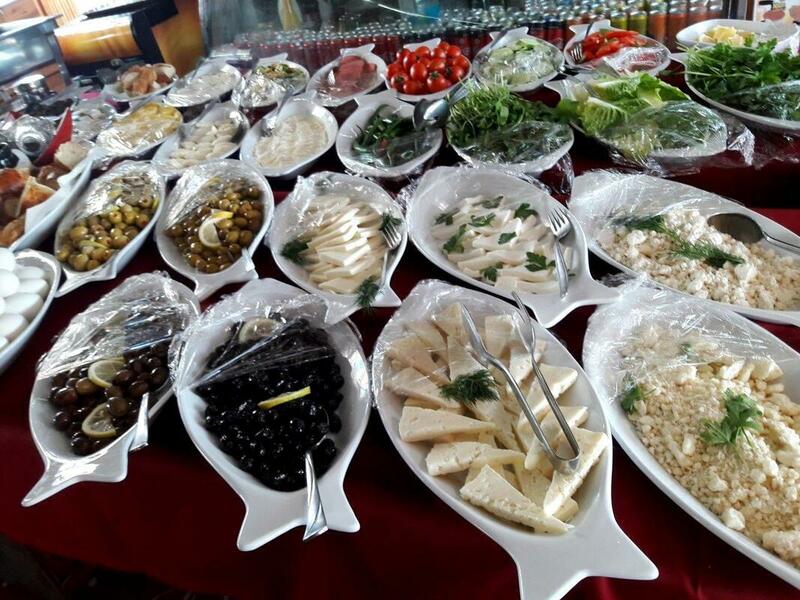 Our party tucks in to a veritable breakfast banquet, making a selection from around 30 dishes, comprising a meze of olives, meats, cheeses, stuffed vegetables, salad, potatoes, warm bread, and, of course, Turkish tea, served in small, fluted glasses. We dock and walk along a jetty to explore, Sovalye, one of the many tiny islands dotted along Fethiye Bay. Through the clear water, we spot a small, tangerine-coloured octopus making its way along the sea bed. It takes around 45 minutes to explore the island, following the coastline of sand and shingle bays.